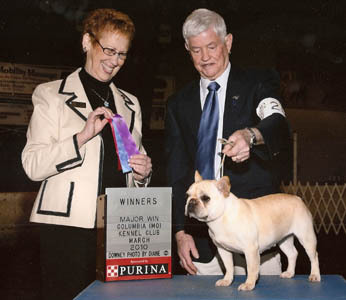 Angie is a daughter of our "Gus", Ch House of Tucks March Madness, who is a grandson of both Charlie Brown and Polar Bear, two top Frenchie producers. She is out of our Ch House of Tucks T-Ann, "T-Ann". Copyright © 2010 House Of Tucks French Bulldogs, Doherty Kennels & JLS Canine Services Web Design.